I am new to Stack Exchange and am working on a Quantum learning platform for minority youth groups (LGBTQ, low-income, at risk, etc). In the question below they are looking for courses on the subject, which I am also interested in, and do plan on checking those links out for ideas. What I am looking for are simple videos, articles, or even games, that cover basic Quantum Theory at an introductory level. There are some games I have looked into and played. Hello Quantum! was fun and informative, though on my end there was still a lack of comprehension on how the Quantum computer (or anything else Quantum) would actually function and play out. My focus for the educational platform is more directed towards the software side of quantum computing. Is there anything on software that gives a good introduction to the functions and uses a quantum computer will have? As well as what language would be best to program one? Also, would there be a way to program a quantum computer through a classical computer? And, is there a simple introduction to any of this already existing? Introductory Quantum Computation, which seems to be what you're asking for (rather than Quantum Theory more generically) is a bit of a tough ask. As you say, there are a few games around, such as this one, but they don't really go far enough to explain quantum algorithms and the functioning of a quantum computer, because that really has to be backed up by quite a lot of maths and notation, which means that one is rapidly getting away from introductory material. 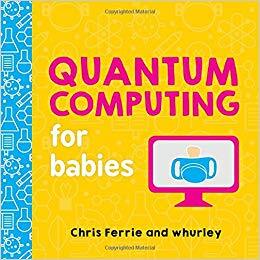 I was actually trying to think at some point about how to make a good, accessible, video introduction to quantum computation, and have to admit to having stalled somewhat. What I did manage to produce was something reasonably introductory but about quantum cryptography, which I think is much more accessible than the computation side of things. You linked to a question about software. Things like QISKit have an extensive set of documentation that give a good introduction. The tutorials on github may also be of interest to you. Moreover, things like QISKit are precisely a way of programming a QC through a CC. You give a generic quantum circuit, and it is 'compiled' for a specific hardware implementation. I find in Quirk a very good tool to practice from basic concepts to more advanced subjects in the matter. It's pretty fast and intuitive, allowing to see in real time the effect of each modify applied to the circuit. The documentation I found is not so large, but, it's easy to understand. You can find an introduction to the tool here. On youtube you can find a lot of educational videos. I personally like a lot the TED talk of Leo Kouwenhoven (here). A similar video by Veritasium is a (qu)bit more detailed, while still very understandable. On the game side, James Wootton programmed a handful of quantum computer games, in the sense that they are games designed for quantum computers. Just sharing my own experience here: I honestly felt much better after reading an introductory book on quantum physics, Idiot's Guide. The book is written by three wonderful professors. They have a whole unit dedicating to Quantum Computing where they explain the fundamentals so nicely. Once you feel comfortable with that, poke around with Microsoft Code and subscribe to the IBM QuantumExpeirence. Installing Qiskit and playing with the code examples was essential for me. If you coming from a functional programming background, you can also try Quipper: A quantum programming language that is written in Haskell. The field is so young and those who claim to know very much, they basically know very little. So, don't be afraid of asking questions. There are no wrong ones. Is there anything on software that gives a good introduction to the functions and uses a quantum computer will have? I gave a talk on quantum computing from a computer science perspective here which has been well-received. I cover the function of basic quantum logic gates, and go over the simplest problem where a quantum computer outperforms classical methods (the Deutsch Oracle problem). High school students have reportedly found it understandable. As well as what language would be best to program one? Also, would there be a way to program a quantum computer through a classical computer? Microsoft's Quantum Development Kit contains both a quantum language (Q#) and quantum computer simulator to run your quantum programs on your own classical computer.